Published with the Imperial War Museums. Louis Weirter, like many commissioned artists, served as a soldier during the First World War. 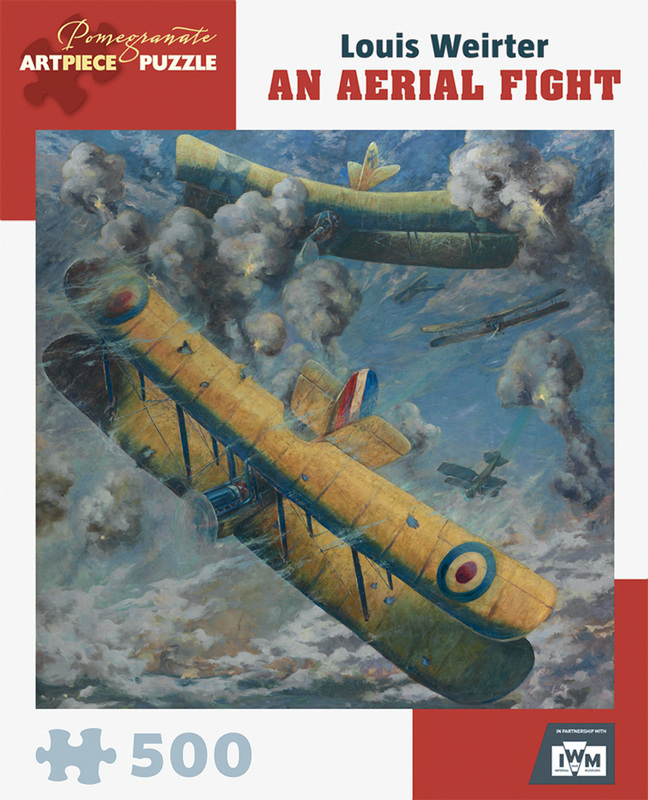 He was present at the Battle of the Somme, in 1916, where he would have witnessed aerial encounters like this dogfight between British and German biplanes. Weirter studied at the Royal Scottish Academy and was also a poster artist and etcher.